LOS ANGELES (CelebrityAccess) — The Agency Group, one of the last large independent music booking agencies, has been acquired by the United Talent Agency. 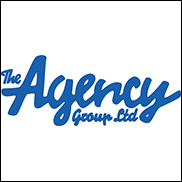 The deal will see Agency Group founder Neil Warnock become head of music for UTA while TAG's current CEO Gavin O’Reilly will step down. The deal will also see TAG's 95 agents and 2000 clients, including Nickelback, The Black Keys, Paramore and Death From Above 1979(Canada) join UTA. TAG has offices in New York, London, Los Angeles, Miami, Nasvhille, Toronto and Malmo, Sweden.